Every one might not be aware of the other name of neem. It is known as INDIAN LILAC. Neem is known as herbal medicine which is widely used in AYURVEDIC AND HOMEOPATHIC MEDICINES.It has distinct bitter taste and I can’t think of any element which could sweeten its bitterness. Although it is bitter in taste but it is full benefits. Neem has antibacterial, antiviral, analgesic and antipyretic, antiseptic, antimicrobial, anti diabetic, antifungal, blood-purifying and spermicidal properties. More than 140 compounds are present in different parts of the herb. 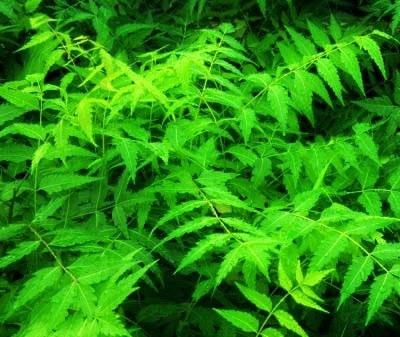 Neem is also known as one tree pharmacy, due to its diverse benefits. It efficiently treats your dry scalp. It is best antifungal and antibacterial which helps to remove dandruff and keep your scalp healthy. It perfectly soothes the itching and dryness of scalp. If you are seeking for hair growth then go for neem. It can solve your entire hair problem alone. I really can’t think of any skin disease which neem can’t treat. It is best known for skin problem. It helps you to keep your skin healthy and flawless. It has ANTUVIRAL, ANTIBACTERIAL AND ANTISEPTIC properties. It treats acne rashes, psoriasis and eczema. It also heals wounds and prevents infection or septic condition. It contains antitoxides which help to avoid any damage due to environment. If you are young but still worried of fine lines and wrinkles, then neem will help you to fight all signs of ageing. From study and experiments it is found that neem kill the lice and stop the lice infestation o a single use. Thanks to its insecticide property. If you are troubling with bad mouth odour and yellow teeth then neem will help you to give desired smile on your face. You use neem water instead of your mouth wash. It will give you effective result in few days. It is powerful blood purifier and detoxidfier. It helps us to stay healthy and removes the germs and toxics from our body. It is best for the diabetic patient. It will keep your sugar level in control. If you are struggling with strict diet, then please have neem in your daily routine, this single element would be enough to keep you healthy. Don’t use any body wash, because neem water will be enough to remove the body odors. It is that effective try it once. It is worldwide known herbal medicine for hundreds of our diseases. Pregnant women should focus upon the real diet that they need to take in order to make sure perfect development of the baby from the fetus stage itself. Health tips for women is that women need more vitamins and minerals as part of their daily diet as well. They also require more iron since they have journal period which can lead to anemia due to beating of excessive bloods.